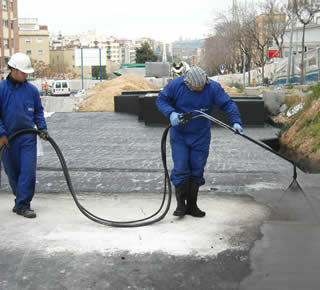 Treatment of concrete slabs with chemical systems, Xypex concentrated and Xypex Admix for crystallization. Treatment of expansion joints of concrete at work and between vertical / horizontal walls. APPLICATIONS:Walls, slabs, tunnels, reservoirs, swimming pools, water treatment plants for drinking water, etc. Do you want information about Concrete floors?